Below are pre-op and post-op photo comparisons that depict a five year anniversary result of a class 3A potential class 4A patient who desired an overall thicker front and a scar revision to improve the appearance of the linear scar. 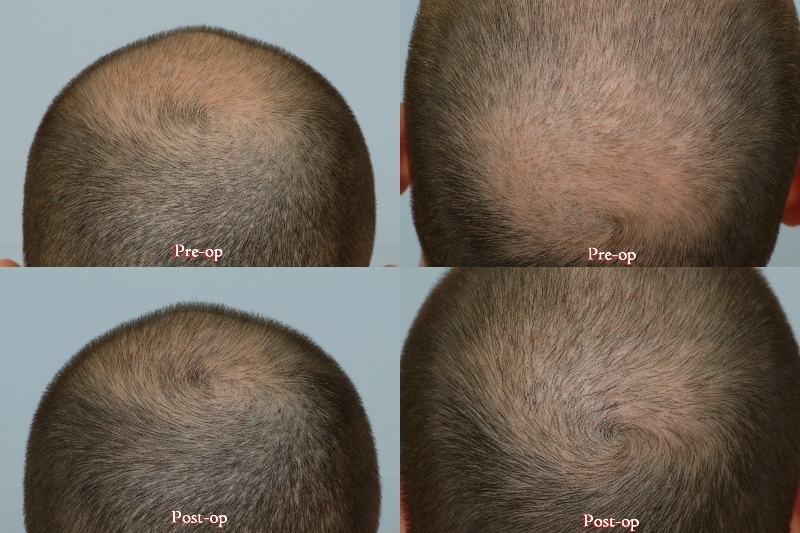 The pre-op photos reveal the wispy, under-developed front with extreme miniaturization. The patient has medium fine, wavy hair and well above average donor density of about 210 hairs per square centimeter with 180 hairs/cm2 being about the average. 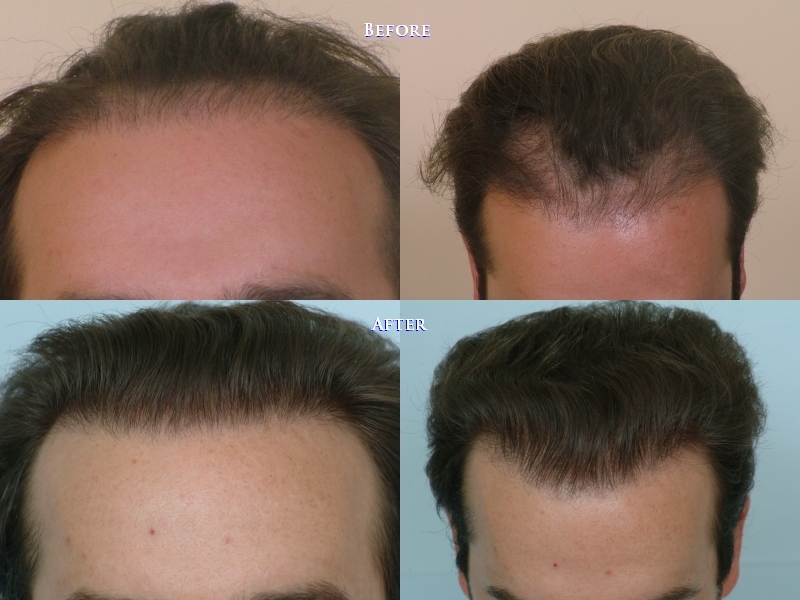 In 2004, Dr. Cole treated this patient by performing a scar revision/strip that yielded 2680 grafts. These grafts were strategically transferred to the front to redefine the hair line and minimize trauma to surrounding follicular units. Although we can produce excellent results via strip technique, and some patients are good candidates for strip (mature individuals, previous strip patients) it is not the preferred method anymore. All surgical procedures produce scarring, but the important fact to note is that not all surgical procedures produce visible scarring. CIT involves using special geometric tools to individually harvest each follicular unit that is then placed in the recipient area (balding area). In our experience, CIT produces much less noticeable scarring, if any, than strip harvesting. The result is better use of the grafts, the ability to choose which grafts are taken from the back and sides, and no linear scar! Currently, our preferred method of improving the appearance of linear scars is CIT grafting. It is not possible to predict which strip patients will heal well, so, unless there is a very good purpose of proceeding with strip method, CIT (non-strip method) should be the desired method. The true advantages of strip method are that more hair can be harvested in a shorter time, and it is somewhat less expensive than CIT. Look at that hairline, that’s top notch considering the no. of grafts. ditto, I love the soft feather like hairline. » ditto, I love the soft feather like hairline. Yea, this one is a winner, nobody can tell this is a hair transplant. well you gotta respect that, both this one and the home page video, very conservative, do no harm. » conservative, do no harm. The video is awesome, age appropriate, not a single graft wasted. I don’t know his age but it’s definitely a look that can last him a lifetime. » » conservative, do no harm. » know his age but it’s definitely a look that can last him a lifetime. I like it, the hairline is not as thick as Armani’s work but that actually makes it look more realistic like his own hair and not a hair transplant. This one is definetly a winner. For the # of grafts, he cant go wrong. Soft like a feather hairline with 100% undetectable natural results. Very nice. frankly, I’m jealous over this one!!! » patient by performing a scar revision/strip that yielded 2680 grafts. 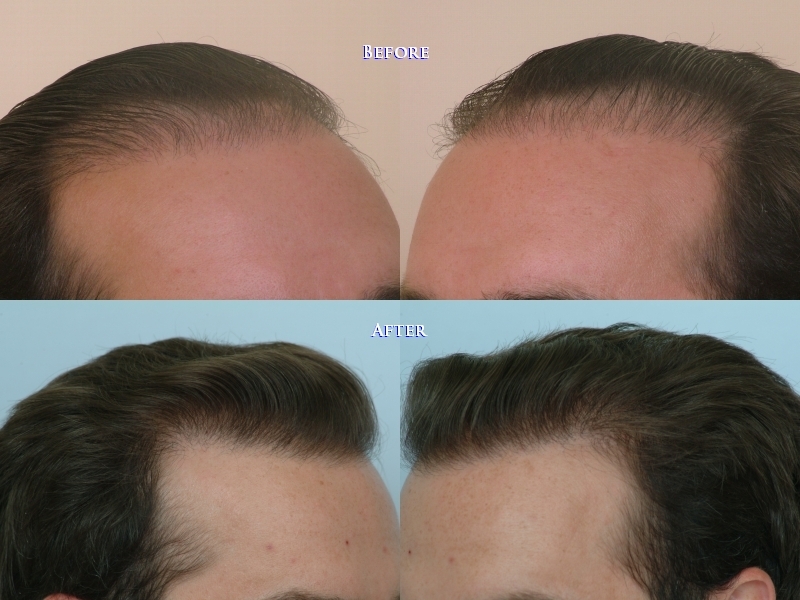 » hair line and minimize trauma to surrounding follicular units. » less expensive than CIT. » like a feather hairline with 100% undetectable natural results. Very nice. yep, soft like feather hairline, first thing that caught my attention. Thumbs up. 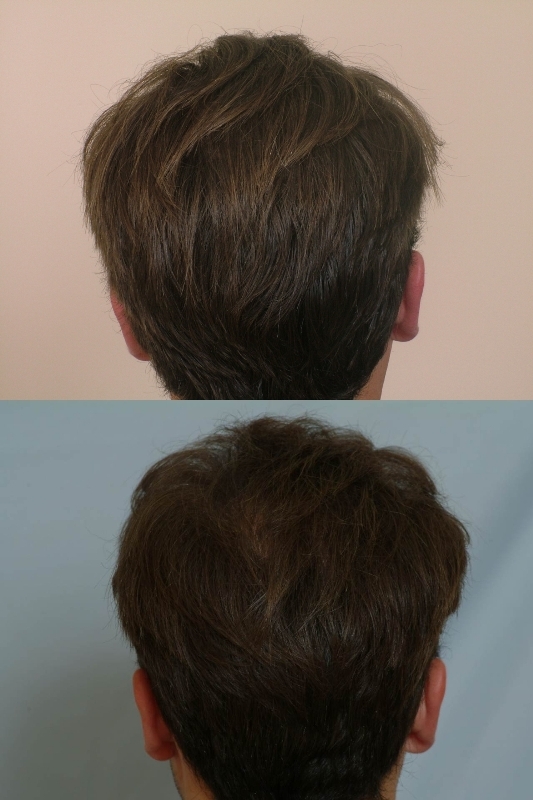 Below is a pre-op and follow-up comparison showing the crown. » Below is a pre-op and follow-up comparison showing the crown. super results… Can’t get anymore natural looking! How many grafts would be put in the crown? » » Below is a pre-op and follow-up comparison showing the crown. » would be put in the crown? It is a fine result that looks virtually undetectable. We would approach this patient’s vertex with extreme caution just because the recession in this area can expand over the years. We pride ourselves in giving our patients the best approach considering most male patients WILL have additional loss. 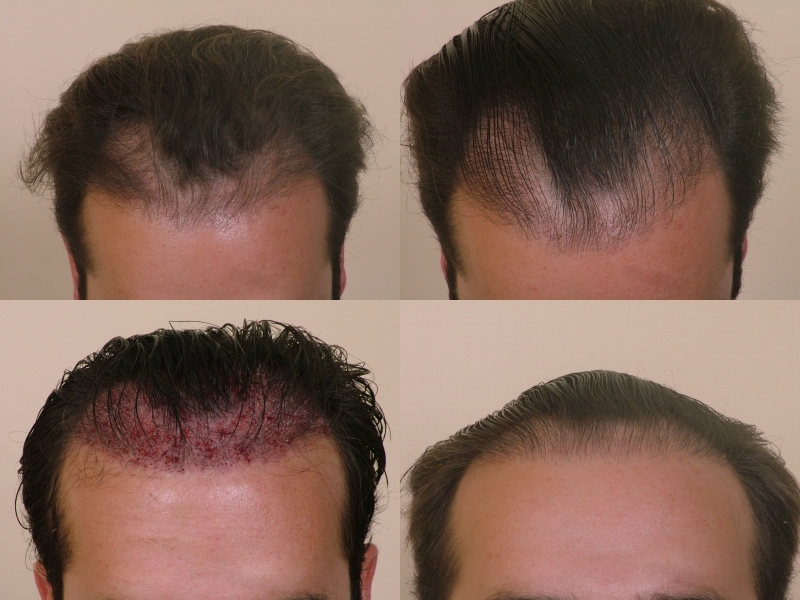 Hopefully, each patient will find their regimen to fight their hair loss until other options are available. This patient can elect to go with a conservative density in the crown, but we always prepare our patients for the worst case scenario so that they truly understand the possibilities to come. We have transplanted 270 CIT grafts in a case like this one to minimize shock loss and to maintain a natural undetectable hair loss pattern. Below is a photo of a case where a small amount of grafts were transferred to the vertex with insignificant trauma (permanent and temporary) to surrounding follicles.